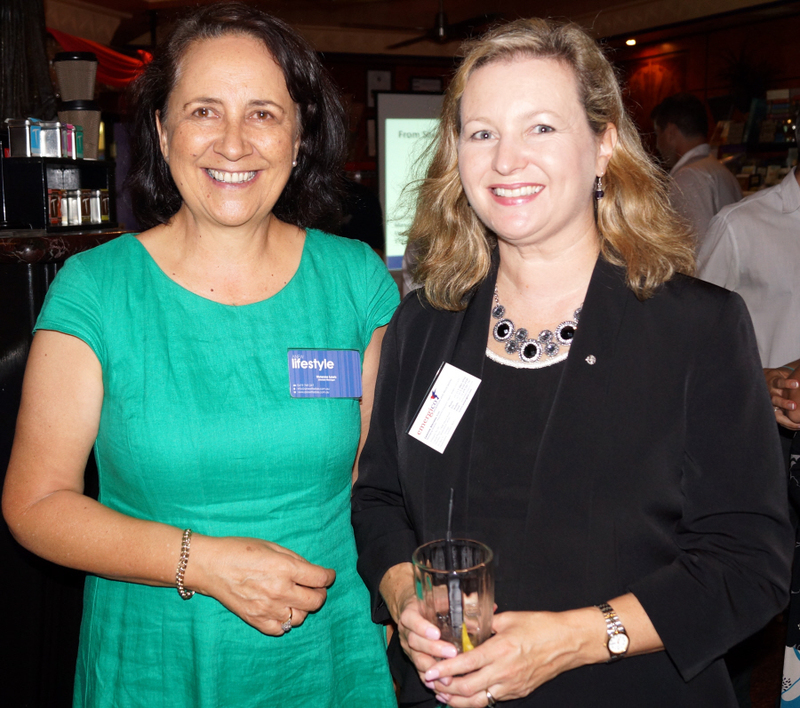 THE intricate and complicated world of immigration law and the visa process was demystified for guests at the Brisbane North Chamber of Commerce monthly networking event at Lido Restaurant last night. Leanne Stevens was a career paramedic, who had carved out a distinguished work record for the Queensland Ambulance Service, before she made a switch and became a migration agent. “There are similarities between both careers. You make positive changes in people’s lives in both careers. You are an advocate for your client (or patient),” she said. Ms Stevens (pictured with Vivienne Lewis from Anew Lifestyle) said the biggest change had been in how she was treated by her clients. “I’ve gone from being an ambulance worker, which is a highly trusted and respected profession, to a migration agent, which doesn’t even rank in the top 50 of trusted professions,” she said. “As an ambulance worker I could walk into someone’s home in the middle of the night and be immediately trusted. But as a migration agent the things I was telling my client were regarded with suspicion and that took some getting used to,” she said. .
Ms Stevens said unethical conduct from operators in the industry tarnished the entire sector with an untrustworthy reputation. “I’ve heard from people who said their agent charged them $50,000 for a visa,” she said. “Really, the most expensive visa at the moment is about $4500, and even when you add on the fees that come with that, you’re likely to only get to about $10,000. That’s a long way from $50,000,” she said. Government regulation and the introduction of more ethical operators were improving the industry’s reputation. Ms Stevens’ agency, Emergico, helps small businesses bringing workers in from overseas with visa applications and resettlement processes. About 20 members of the Chamber of Commerce enjoyed complimentary drinks and canapes as they welcomed new members at the event sponsored by the Brisbane Racing Club.